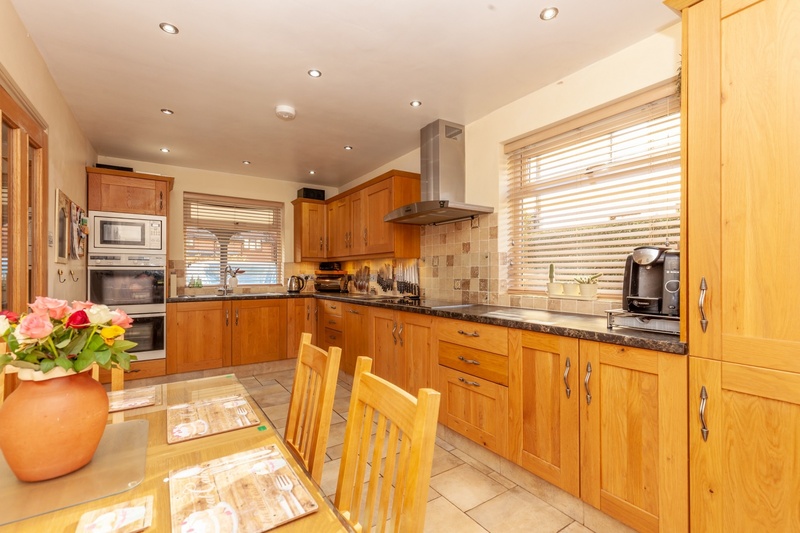 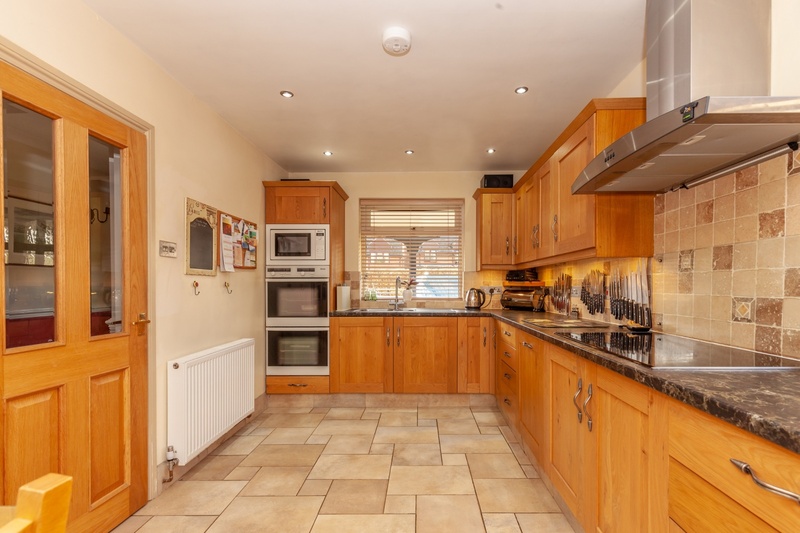 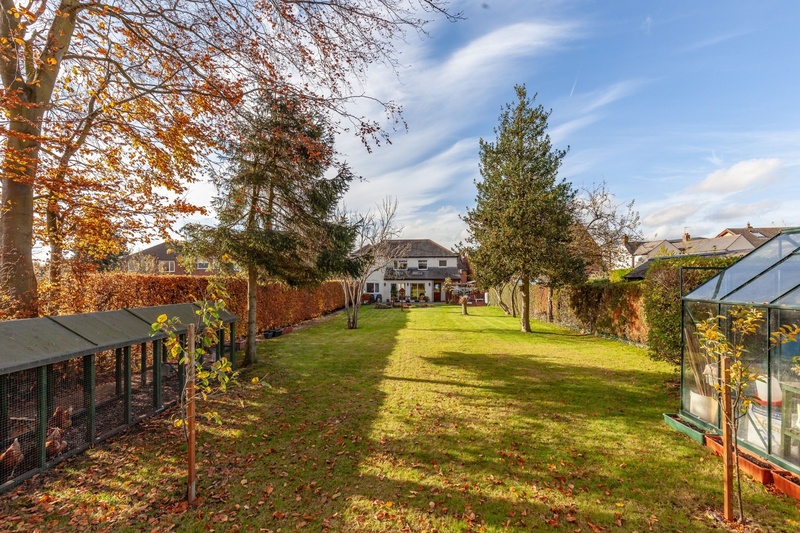 A substantial detached residence providing approx. 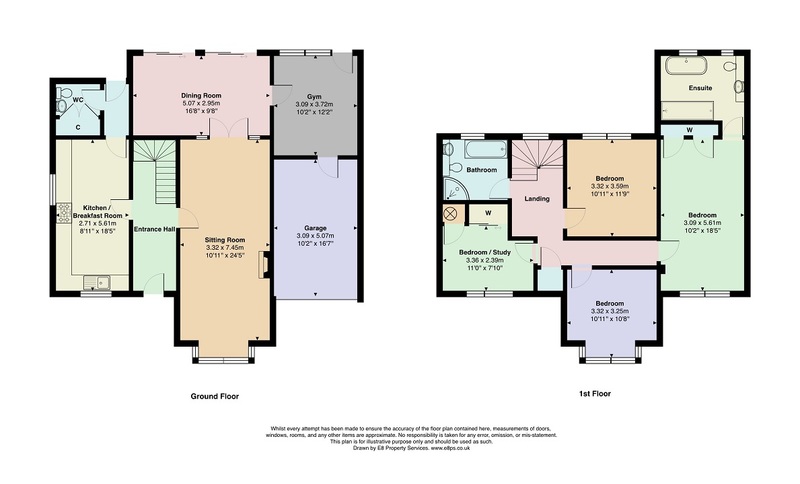 1800 sq ft of accommodation over 2 floors located towards the end of a no through road. 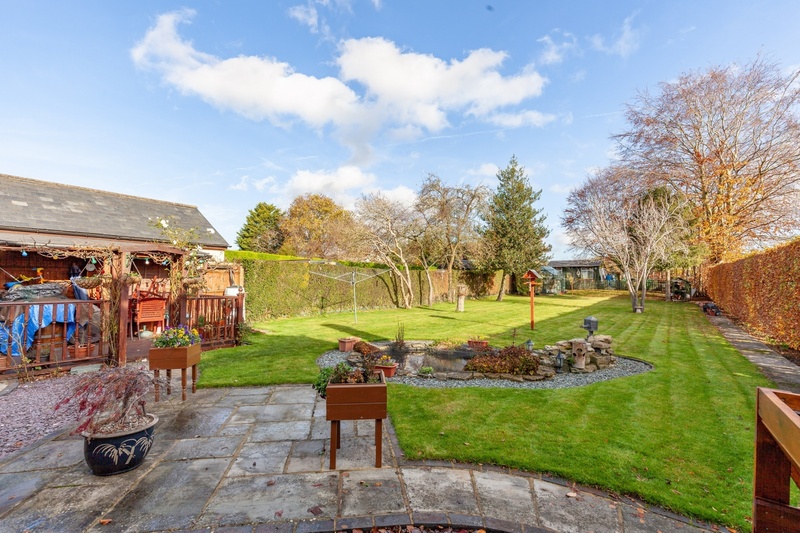 The property sits on a generous plot with driveway parking for multiple vehicles and a mature rear garden measuring circa 150’ x 40’. 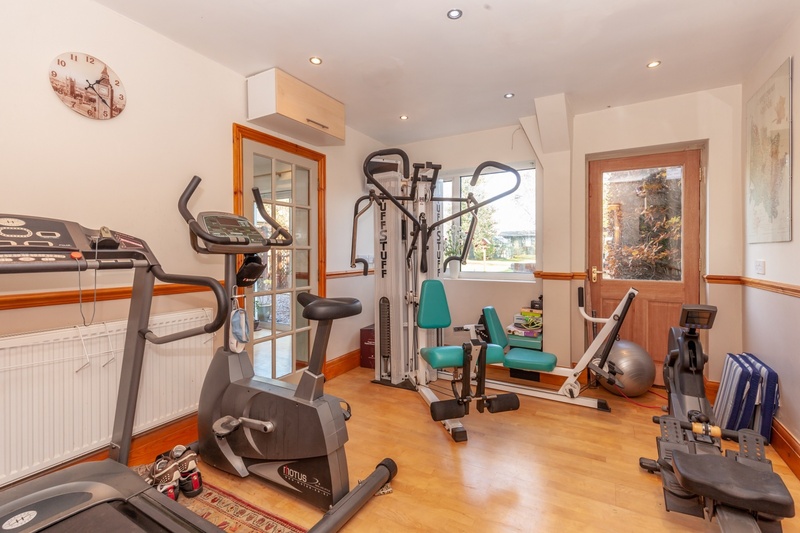 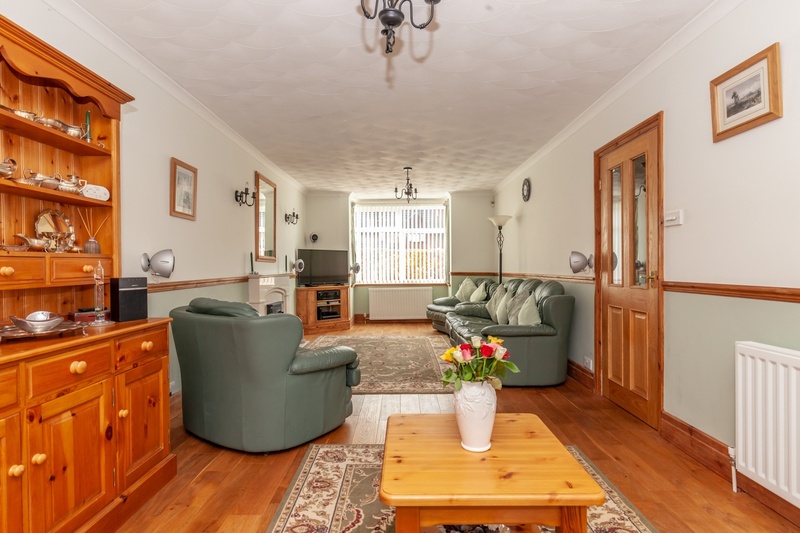 Principally comprising a 24’ sitting room, 18’ kitchen/breakfast room, 16’ dining room opening to the outside via double patio doors and a further reception room, presently used as a home gym. 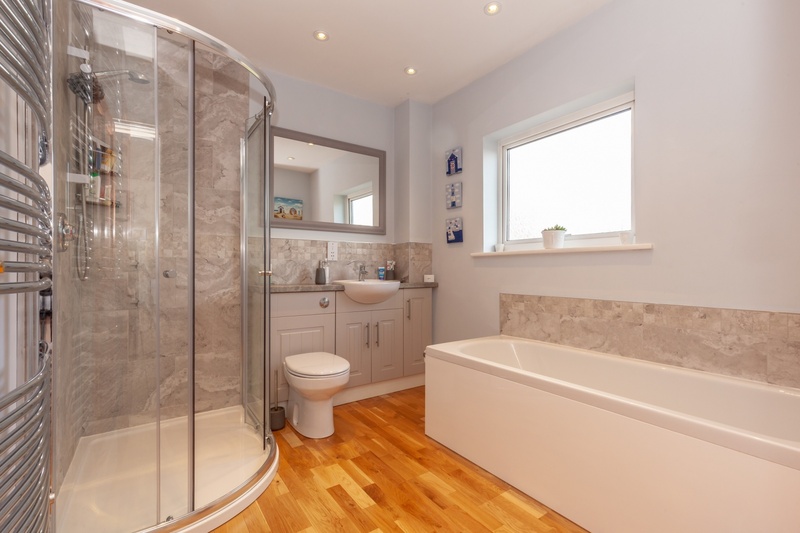 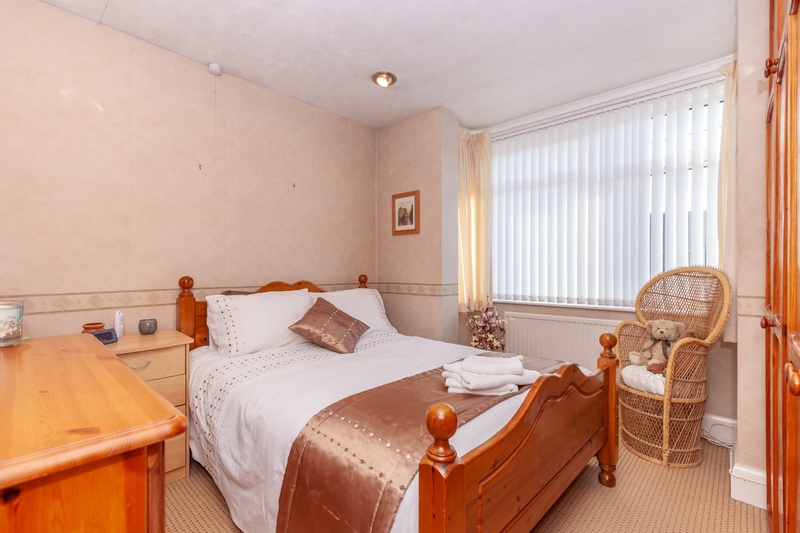 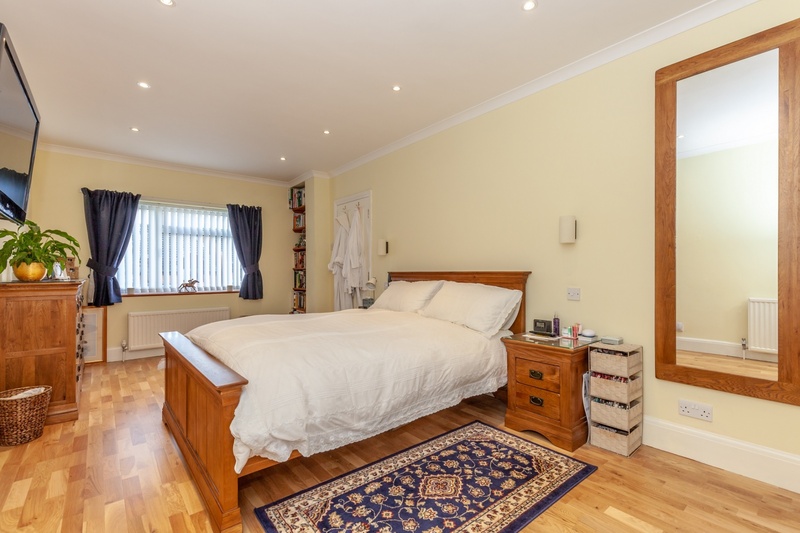 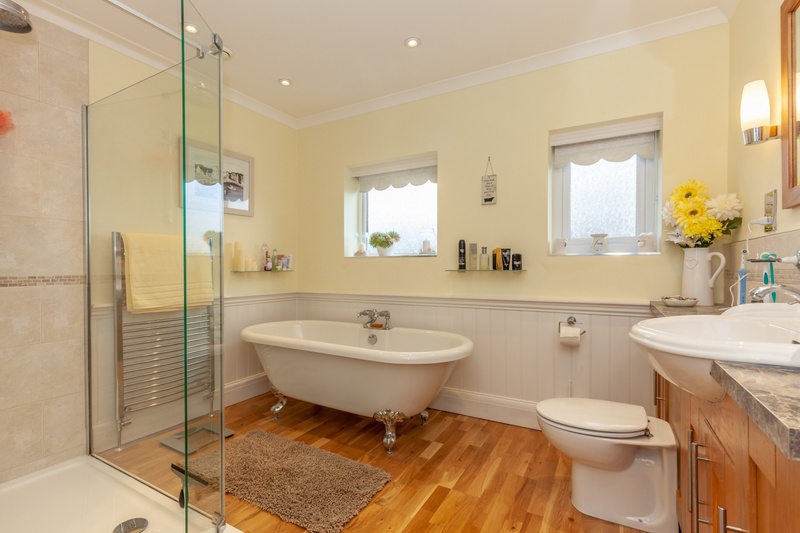 In addition there is a cloakroom and on the first floor a family bathroom and 4 well-proportioned bedrooms, the 18’ master benefitting from a built in double wardrobe and stylish en-suite with roll top bath and separate double shower cubicle. 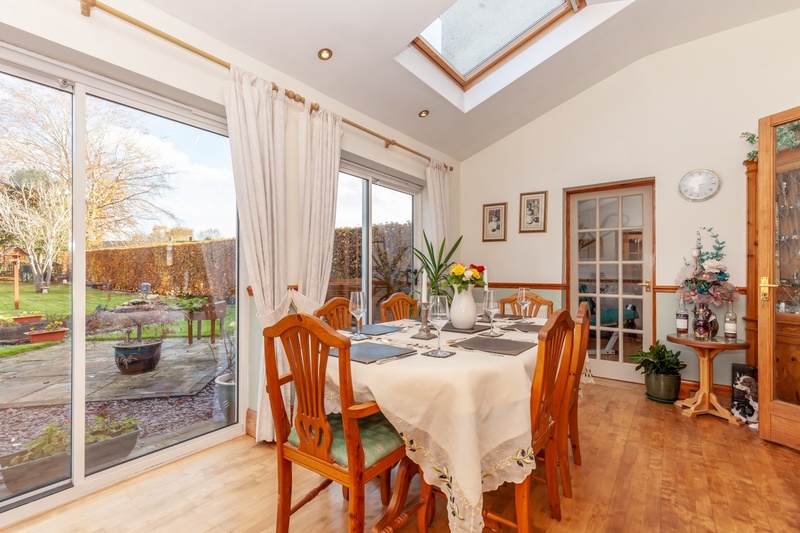 The garden is a particular feature with a large expanse of lawn, ornamental pond, enclosed decking, green house, timber shed and patio area. 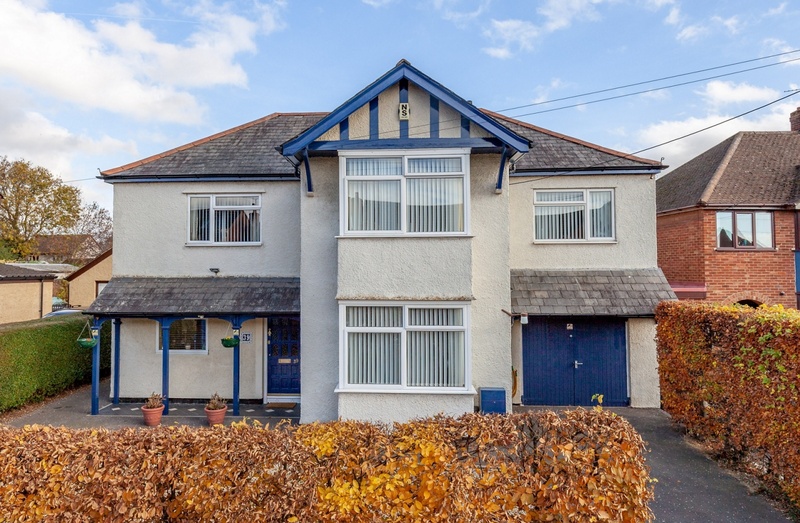 A side access leads to the front where there is a driveway providing access to the integral garage and additional gravelled parking area. 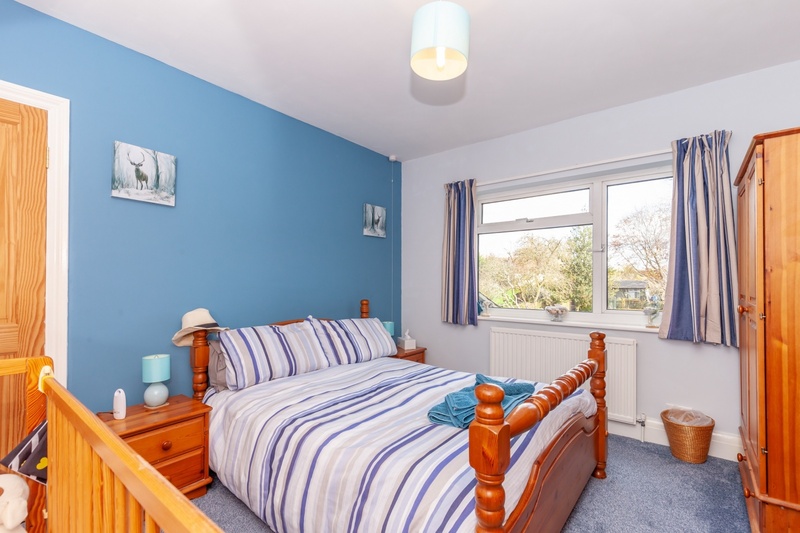 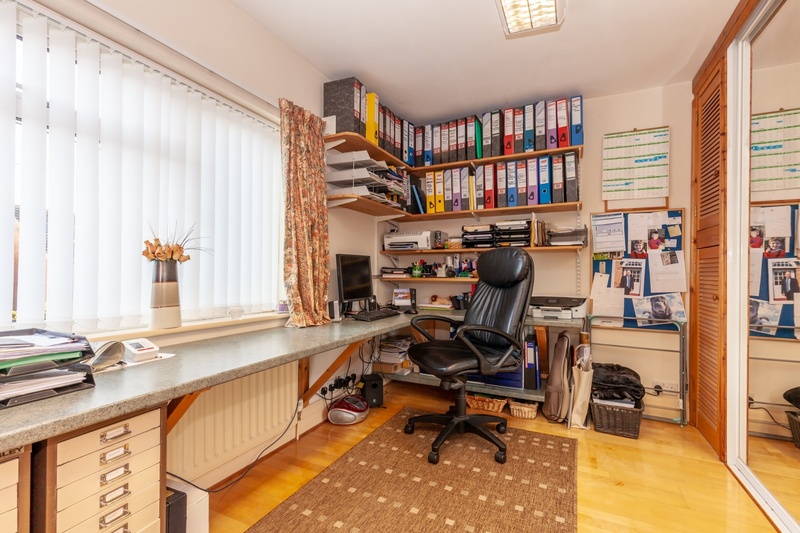 Conveniently situated on the edge of the city within easy reach of local amenities including Sainsburys at Heyford Hill, Oxford Business/Science Parks and by road the Eastern Bypass linking the A34 and M40.